It’s time to plan your family holiday. With super deals on United, it’s a win win. 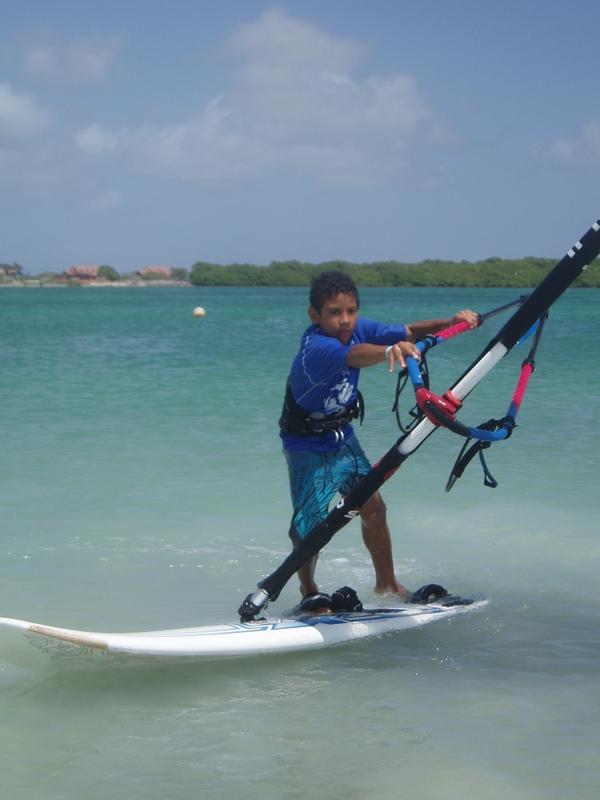 Bring the family and teach them to windsurf. Let the esteemed staff at Jibe City make your kid’s summer holiday memorable. Kids learn young here, sometimes still in diapers. With shallow see to the bottom water, it’s paradise! Email ann@bonairecaribbean.com today for details. Package discounts for gear, lodging and vehicle rentals prevail. Nanny service available based on availability. 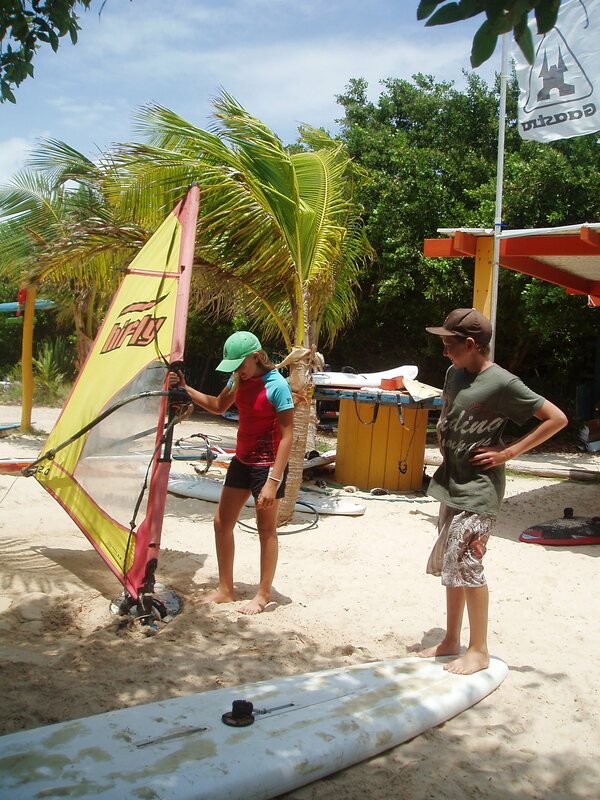 Caribbean Wind & Sun Vacations and Jibe City are offering summer kids windsurf camps for July and August 2013. The camps are open to children 8+. Each day will feature a set schedule of lessons, lunch and more sailing. The 3 day camps is 200 USD. Please email ann@bonairecaribbean.com for details. Ann, a special needs counselor also offers special camps for children with disabilities and those on the spectrum. We are a full service travel agency offering accommodations from budget to luxury, pool villas and beachfront cottages. Car and truck rentals start at 271.00 USd a week. Diving 150.00 pp and windsurfing starts at 275.00 pp per week. Ask for package discounts and summer specials including stay 7 pay for 5. * some activities will have a surcharge depending on the admission fee/ prices subject to change and camp availability. Andy Brandt, the windsurf guru of learn -to- windsurf camps is coming back to Bonaire with his windsurf posse of instructors for the 2009/10 season. Andy, Brendon, Derek and Caesar offer incredible instruction in all facets windsurfing. Beginners start off under their watchful eye, learning the basics. Intermediates come to hone their skills and take it to the next level. Advance sailors learn freestyle tricks, planing and aerial moves and more. Winter camps are oriented for adults and teens but kids lessons as well as summer kids camps are available. Each year, ABK Alumni return to Bonaire. The winds are on shore, the conditions forgiving and predictable and the water is gin clear see to the bottom wow. Andy is well known in the windsurf world as one of the foremost instructors in the sport. Caribbean Wind & Sun Vacations is proud to be a sponsor of the 2010 tour. Call 800-219-0118 to book your clinic. Group packages apply. Caribbean Wind & Sun is the only Bonaire based windsurf specialty travel agency on island so call now. Accommodations start at 60.00 USD a night and up. Ann, the owner offers nanny service, tours for your half day on Wed. as well as free Concierge for all of her clients. You can book your clinic and package by calling 800-219-0118. Canadian clients email ann@bonairewindsurfing.com or call 508 737 5245. ABK hosts a special medical conference clinic each March. This is open to physicians who want to attend a conference for CEU’s and participate in a clinic. A few slots are available for the March clinic so call Ann today.